Consider the following scenario: Jacob and his late wife had three children; one daughter and two sons. They lived together in the family home in Victoria, British Columbia. When his wife passed away, both sons moved out to live on their own while Jacob continued to live with his daughter. Then, two years following his wife’s death, Jacob lost his battle with cancer. In his Will, he named his daughter as his sole beneficiary. The basis for his decision to do this, thereby excluding his sons from his estate, was that his daughter had nursed and supported him physically and emotionally during his illness, in the manner which he felt that a committed, loving child should. The sons felt that Jacob had unfairly distributed the assets in his estate, and proceeded to challenge the validity of the Will. The sons argued that in comparison to their sister, they had received little financial support from their father during his lifetime. The daughter defended the distribution, arguing that her brothers had only attempted to visit their father regularly when they found out he was terminally ill, and she felt their motivation was to make sure they would receive a part of their father’s estate when he passed on. She, on the other hand, had been solely responsible for organizing all of her father’s affairs, and no promises were made regarding the estate in exchange for her care. In British Columbia, if a will-maker dies leaving a Will that does not make adequate provision for his/her spouse or children, the Court may vary the Will and order the provision that they consider to be adequate, just and equitable. According to the Wills, Estates and Succession Act (WESA), which replaced the Wills Variation Act of British Columbia, a will-maker must fulfill any legal and moral obligations to his/her children, including the responsibility to ensure that all of his/her children are provided with adequate maintenance and support after their death. In cases similar to that of Jacob’s, BC courts have ruled in favour of the disinherited children. It is therefore quite possible that in the illustrative case of Jacob’s Will, a court would rule that the basis for the disinheritance of Jacob’s two sons would not have been strong enough to justify their disinheritance. As such, the court could rule that each of the two sons be awarded inheritance of 25% of their deceased father’s estate, with their sister inheriting the remaining 50%. The courts, of course, consider every case and their unique set of facts and circumstances on their own merits. In British Columbia, the likelihood of the judge ruling in favour of disinherited children is good, if the reason for exclusion does not negate their moral obligation. For the courts to accept that a Will disinheriting some or all children is valid, the Will must clearly express the will-maker’s reasons for not making adequate provisions for children, and further evidence may be required in a variation claim. Estrangement that was the fault of the parent may strengthen a moral claim of a disinherited child. However, the courts recognise that estrangement can be the result of a variety of factors including separation of the parents, or a loss of custody of a child by a particular parent. A long period of separation, abandonment or estrangement between a child and the will-maker may be sufficient reason to negate a will-maker’s moral duty to an adult child. Strong evidence of a contentious relationship may include a parent being physically harmed by a child. In the example of Jacob’s family, his relationship with his sons may not have been as close as he would have wanted, but it was not reasonable for him to classify it as an estrangement. Nor could he classify it as a contentious one. Therefore, estrangement would not have served as a sufficient basis for the sons’ disinheritance. Disputes over Wills and Estates are delicate matters, often occurring at an already emotional time in your life. It is advisable to consult a lawyer with expertise in Inheritance Law to help you through the emotional and legal challenges. Helpforme, the Personal Legal Services division of Hammerberg Lawyers LLP, offers legal expertise in Inheritance Law and expert guidance for you at every step. Helpforme offers a free consultation and will work quickly to determine whether you have a valid claim under the law. The firm has a uniquely personal and empathetic client approach, which emphasizes guiding people through a difficult and emotional dispute and leading them through a resolution process to restore their sense of justice. 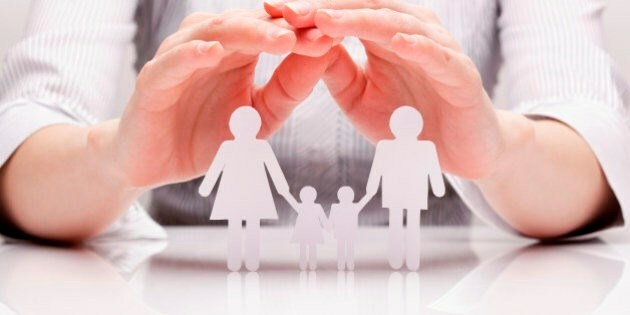 The Helpforme team also assert that not all estate disputes need to involve litigation – Helpforme estate litigation lawyers are also experienced negotiators and can often find amicable solutions among beneficiaries that, if desired, can unite divided families. Helpforme offers Estate Litigation services on a contingency basis – clients only pay legal fees when their case is resolved positively. This makes it possible for people with a valid claim to take the necessary steps to challenge a Will without the worry of paying legal fees while their dispute is in progress. Helpforme’s contingency fee structure gives everyone – including those who might not otherwise have the means to retain a lawyer – access to justice and the ability to pursue their legal rights.